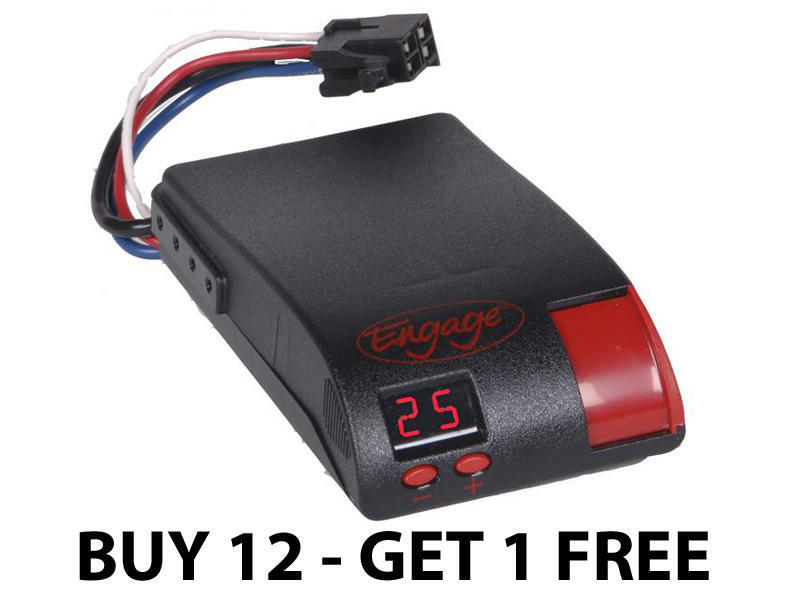 The Engage® is a digital, time based brake controller for trailers equipped with up to 6 brakes. This controller is equipped with a digital display allowing you to select adjustable voltage and power ramp up times. Bakers Dozen - Buy 12 and Get 1 Free!